Prescription Drug Mistakes More than 400,000 prescription drug errors are made in our hospitals each year and in long-term medical care facilities it's almost double. Prescription drug errors are the most common type of medical error and the ones that pose the greatest threat of harm to patients, research shows. The Institute of Medicine performed a study that revealed the shocking frequency of harmful medication errors. Approximately 400,000 preventable drug-related injuries occur annually in hospitals alone. Another 800,000 in long-term healthcare facilities. Approximately 1.3 million people in the U. S. are hurt every year, and at least one person dies every day from a medication error that should not have happened. These errors are frequently caused by a doctor writing the wrong prescription, a pharmacist misinterpreting a sloppily written prescription or confusing two similar-sounding drugs, an error in labeling or printing the instructions for taking a medication, or a nurse in a hospital or other care facility giving a drug to the wrong patient, giving an incorrect dosage or giving it the wrong way. This could happen with either oral or intravenous medication. 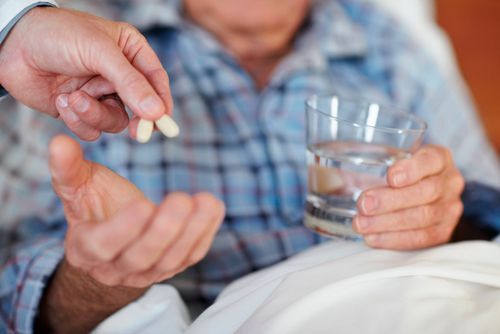 Anyone who has been given a wrong medication or the wrong dose by a doctor, nurse, pharmacy, or other medical professional and suffered harm as a result should speak with an attorney that specializes in medical malpractice cases. An experienced attorney can tell you if there is a case to recover money for the damage to your health, death of a loved one and the financial losses you may have suffered because of the mistake. If you’ve been harmed by a medical professional’s prescription drug error in Florida, Jim Dodson can help. Jim has more than 25 years of experience helping clients who have been injured by medical negligence and an impressive record of success in recovering money for his clients. He knows what to look for, from the common prescription mix-ups to the more subtle errors. Most importantly, he knows how to analyze your medical records to find evidence of the error. He has access to some of Florida’s most highly regarded medical experts who can help analyze records and, when required, give expert testimony. It's important to keep in mind, in order to have a solid medical malpractice claim your doctor or pharmacist must have been negligent in performing their services or diagnosis. Not every case will qualify as medical malpractice. Jim Dodson believes that doctors, pharmacists, and other health professionals must be held to the highest standard of care and accountable for the damage they cause through their carelessness or negligence. He fights for a full recovery that covers all economic and non-economic damages in every case he takes.